Sandra writes: Hi! I am a Verizon customer and really want the new iPhone 4S, but I really want to talk and surf so I am torn between Android and iPhone. In the future, will Verizon update its CDMA network? And if I have the iPhone 4S, will I be able to download software to be to talk and surf? Or will I have to buy a new phone? Hi Sandra! 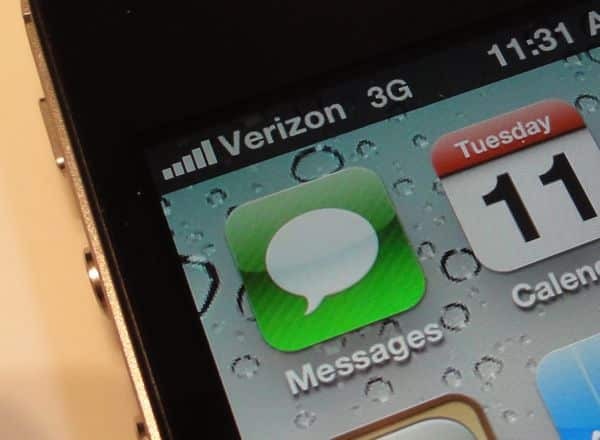 So, if you’ve been pining for an iPhone 4S on Verizon Wireless but talking and surfing at the same time is a priority, bad news: neither the new iPhone 4S or the older iPhone 4 will ever let you both chat and use data on Verizon’s 3G or 4G networks. That’s because existing Verizon iPhone models, including the new iPhone 4S, have been designed to work only on Verizon’s older CDMA network, and CDMA cellular networks (and this includes Sprint, too) don’t support simultaneous voice and data calls—not now, and not ever. Update: Not entirely true, see below. GSM-based networks, however, do let you talk and surf at once—and here in the U.S., that means AT&T and T-Mobile. Now, Verizon is quickly rolling out its new, faster 4G LTE network, which will eventually let you talk and surf at the same time—but not until Verizon activates its new “voice over LTE” feature, which won’t happen until sometime next year. Even if Verizon’s LTE network did allow simultaneous voice and data calls right now, it wouldn’t do iPhone 4S users any good. Like I said, the current iPhone hardware won’t work on LTE networks at all, not even with a software update. In short, you’d need a new phone. Of course, the eventual iPhone 5 might support LTE, but we won’t know for sure until Apple spills the beans. OK, so what about Android? There are already plenty of LTE-ready Android phone on sale through Verizon, but until Verizon activates its voice-over-LTE feature, none of them will let you chat and surf simultaneously. In other words, if you want a smartphone that’ll let you both talk and surf, right now, you’re better off switching to a GSM carrier, like AT&T or T-Mobile. AT&T offers both Android phones and the iPhone, and while T-Mobile still lacks the iPhone, it does offer a range of enticing Android handsets. Bonus tip: Don’t forget that if your Verizon or Sprint phone is connected to a Wi-Fi network, you will be able to chat and surf simultaneously. Once you switch back to 3G, though, your browser won’t work while you’re on a voice call. Will the Verizon iPhone 5 make and receive calls while you’re using it as a hotspot? The iPhone 4 carrier dilemma: AT&T, or Verizon?